Preheat the oven to 450°. In a small bowl, whisk 1/4 cup of the olive oil with the Herbs de Provence seasoning, and garlic. Season the lamb all over with salt and pepper. 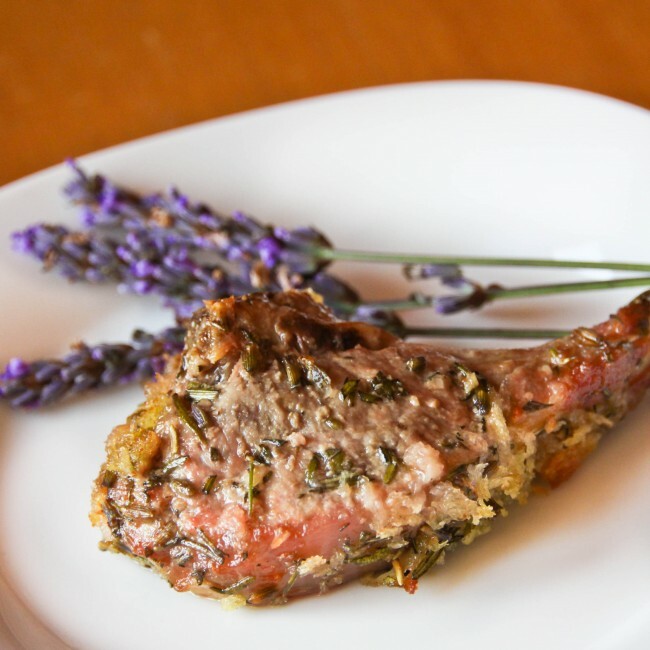 Rub half of the herb oil all over the inside of the lamb, then roll up the meat and tie with kitchen string to form a neat roast. Spread the remaining herb oil all over the roast and set it on a rimmed baking sheet. Meanwhile, in a medium saucepan, heat the remaining 2 tablespoons of olive oil until shimmering. Add the shallot confit, dates, honey and a pinch of salt and cook over moderate heat, stirring occasionally, for about 4 minutes. Add the vinegar and cook, stirring occasionally, until most of the liquid has evaporated and the jam is thick, 3 to 5 minutes; season with salt and let cool. Untie the lamb roast and slice the meat against the grain. Serve with the shallot-date jam.